Struggling through reading the lesser-known Old Testament passages and long prophetic oracles may seem to have little relevance to everyday 21st-century life. But there are important things we can learn from the Old Testament. 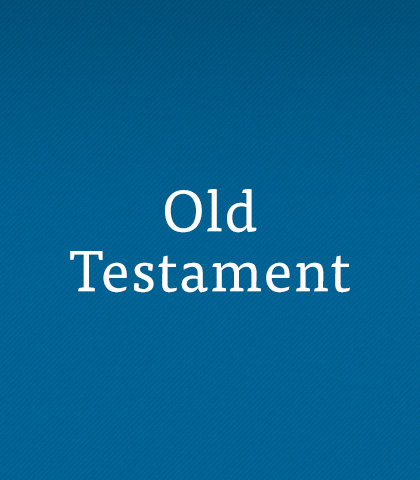 First, the New Testament is based on the Old Testament. Second, the Old Testament reveals the character of God. Third, the Old Testament has transformational power. Its message transcends time, geography, and culture. It speaks to everyone, everywhere, in every situation. Some people are much older at 40 than others are at 70. Why? Attitude! To build up attitude muscles, forget your age, focus on your goals, and remember to follow your God. Not only does God know all that is done, He ultimately exposes the truth so that all will know…and the consequences are often tragic. Changes are tough. And they were tough for the Hebrews when Moses passed off the scene, and they had a new leader to follow. We often go back to basics when we come to an event that requires renewed determination. That's where the Hebrews were in the book of Deuteronomy. The people had been wandering in the wilderness but were now almost home. Few positions carry with them more weight of personal responsibility than that borne by those who speak for God and those who claim to be called by Him. The Christian life is the life of faith, but if we fail here, a shipwreck will occur…as it did to a whole generation of Hebrews. Compared to their failure, the Titanic and the Valdez were minor accidents.